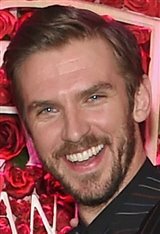 Born in Croydon, South London, Dan Stevens was adopted at birth by two teachers. He decided at a young age that he wanted to be an actor and convinced his parents he would make it work. During his undergrad at Emmanuel College in Cambridge, Dan was involved in several student-produced dramas. He was cast in the title role of Marlowe’s Dramatic Society production of William Shakespeare’s Macbeth in 2002 and was nominated in 2004 for an Ian Charleson award for his role as Orlando in As You Like It. Dan went on to act in several plays produced by the Peter Hall Company, including Much Ado About Nothing and The Romans in Britain. Dan landed guest roles on a number of television shows from 2006 to 2009, which eventually led to big break in 2010 when he was cast as Matthew Crawley in the critically acclaimed TV show Downton Abbey. After three years on the series, Dan decided to leave to try something different. When he told creator Julian Fellowes he didn’t want to renew his contract, Fellows killed Matthew Crawley off in a car crash. Moving on to the big screen, Dan shed 30 pounds to play drug kingpin Kenny Kristo alongside veteran actor Liam Neeson in A Walk Among the Tombstones (2014). After reading for The Guest (2014), Dan knew he wanted to challenge himself with a fun and twisted role. He played the devilishly handsome David, who integrates himself into a deceased soldier’s family by claiming to have been his comrade in arms. Everyone is very welcoming except for Anna, played by Maika Monroe, who’s skeptical about the newcomer. Since then, Dan appeared in the comedy The Cobbler (2014) alongside Adam Sandler and Steve Buscemi, Night at the Museum: Secret of the Tomb (2014) with Ben Stiller and the late Robin Williams, and the drama The Ticket (2016) with Malin Akerman. His most recent credits include the live-action adaptation Beauty and the Beast (2017) alongside Emma Watson, the sci-fi thriller Colossal (2017) with Anne Hathaway and Jason Sudeikis, the holiday film The Man Who Invented Christmas (2017) with Christopher Plummer and Permission (2018) with Rebecca Hall. In 2009, Dan married South African Jazz singer and teacher Susie Harriet. Together, they have two children – Willow (born in 2009) and Aubrey (born in 2012).